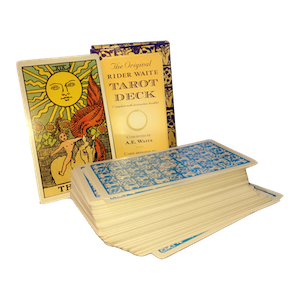 Buy Rider Waite from the most trusted online seller of Tarot decks in the Philippines. The original and only authorized edition of the famous 78-card Tarot Deck designed by Pamela Colman Smith under the direction of Arthur Edward Waite. Complete with instruction booklet. Is there a Giant Version? We don't have a giant version.